I adored Life After Life but it’s crazy to think that came out 5 years ago already. Transcription sounds like a fantastic trip back to the time period, just maybe minus the whole time traveling bit. Life After Life follows Ursula Todd as she lives through the turbulent events of the last century again and again. With wit and compassion, she finds warmth even in life's bleakest moments, and shows an extraordinary ability to evoke the past. 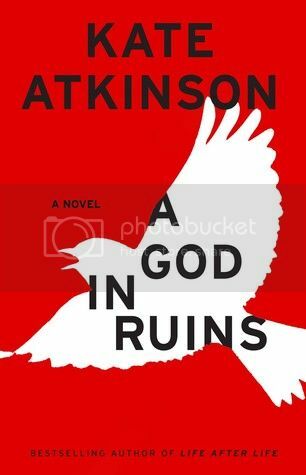 Here is Kate Atkinson at her most profound and inventive, in a novel that celebrates the best and worst of ourselves. This is the story of Ursula Todd’s live(s), and of her death(s), and of how she lives when given a second chance. Each time she dies (and returns) she obtains a sense of deja vu from her past lives. She uses these bits of knowledge from these previous scenes of life to “get it right” and to change the outcome of her life now. Practice makes perfect after all. The writing was flawless, albeit a tad hard to grasp at first. There’s a constant flipping back and forth between time and it was supremely difficult to determine which story went with which one, however it all comes together in the end. I found it best to simply read, absorb, and watch the story unfold without putting too much thought into it or keeping notes regarding what is happening with each date (speaking from personal experience, it’s completely unnecessary). Despite her multiple chances to “get it right”, Ursula did not always succeed. She may have avoided one obstacle she encountered in a previous life only to run into another. As Ursula said, “We can never get it right, but we must try.” Life isn’t perfect, and even if you had multiple chances to go back and change things it still won’t be perfect. I think it also meant that sometimes we need to experience these imperfections in order to truly know how to “get it right”. It was amazing to watch each scene transpire and be able to witness how one single act not only resulted in evading death (the second time around of course) but how drastically different her life often was. But what was even more amazing was finishing the story and fully grasping all the story lines that had been going on and having them all come together harmoniously. There truly aren’t enough adjectives in existence for me to properly describe how truly amazing I found this book to be. 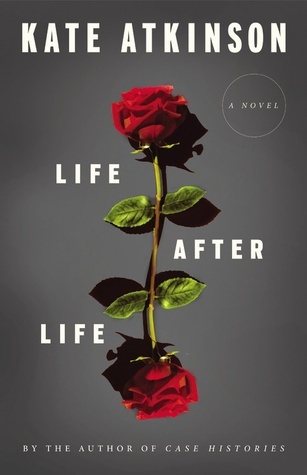 Life After Life was genius, superbly written, intricately detailed, and capable of an emotional resonance you won’t see coming.